For this final '5 Contemporary Authors..." post, I gave each author a list of themes/perspectives and asked them to volunteer their recommendations for our contemp YA reading. As a reference - click on the book title for the Goodreads link and the authors name to be taken to their official website. Thanks to Courtney Summers, William Kostakis, Lili Wilkinson, Melissa Walker and Siobhan Vivian for answering my questions and providing some great reading recommendations. Lili...Skellig by David Almond, Love that Dog by Sharon Creech. Melissa...STONE GARDEN by Molly Moynahan. Such an amazing exploration of grief, with moments that caught in my throat. 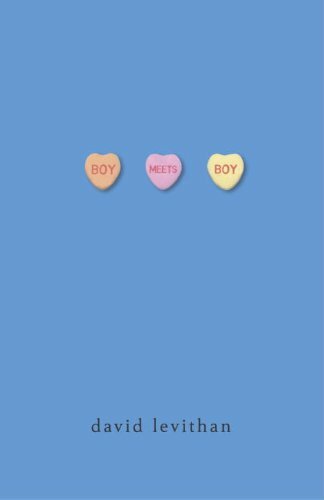 Courtney ...I also hate that word, but for a light and funny read, I say Angus, Thongs and Full Frontal Snogging by Louise Rennison. Lili...Meg Cabot's Ready or Not. 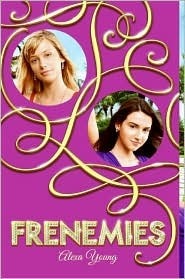 Melissa...Frenemies series by Alexa Young. These are smartly written send-ups of bratty girls with hearts deep down inside. Melissa...GENTLEMEN by Michael Northrop. These guys feel like guys, less emo than lots of YA boys, and more real for that. 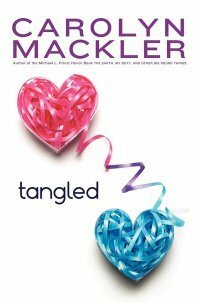 Melissa...TANGLED by Carolyn Mackler. There are four voices in this one, each with its own story and strength, and yet they tie into a perfectly created package. It's pretty masterful. Melissa...Somehow I want to mention the Ruby series by E. Lockhart here too. Not sure where it fits, but I just adore Ruby's voice in each book. I laugh like crazy while I read--I want to be her friend. Courtney Summers is the Canadian CYBIL award winning author of Cracked Up To Be, Some Girls Are and forthcoming title Fall for Anything. Website. Lili Wilkinson is an award winning Australian young adult author who has written both contemporary and historical YA. Her most recent release in Australia and in the US is the fantastic title, Pink. Website. William Kostakis is another young Australian YA whose debut title, Loathing Lola was released in 2008. Currently he is touring across Australia visiting schools and bookstores sharing his naughty wit. Website. Melissa Walker is a journalist, author, readergirl and all round YA cheerleader - there is nothing this lady can't accomplish. Her most recent release Lovestruck Summer was a blogdom favourite. Website. Siobhan Vivian is an author that I am currently fangirling over. Seriously, read her back catalogue. Her newest title has just release, Not That Kind of Girl and you will love it. Website. Love this post! All of those responses are fun, and now I have a few more books on my radar.